Capitol Music Group has a long history of incubating artists and content. Can you tell us a little bit about CMG’s newly launched Capitol360 Innovation Center and its mission? 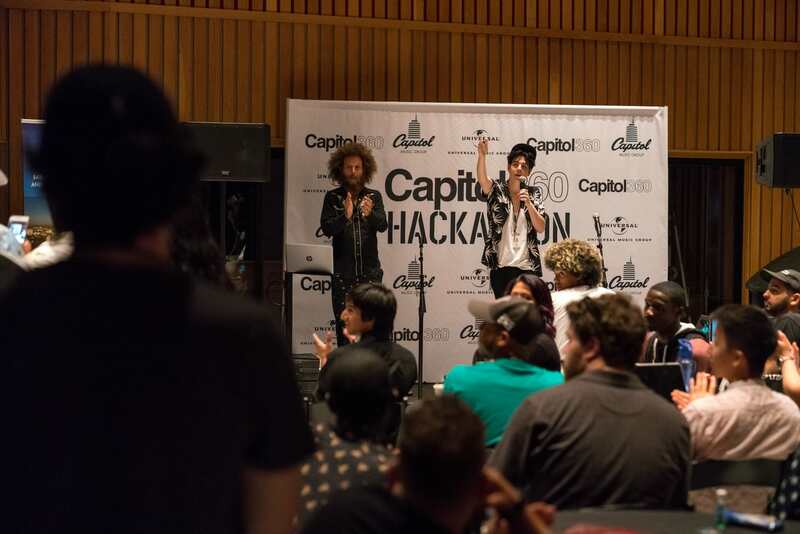 After hosting Capital360 Hackathon at Capitol Studios where you opened up a huge catalog of tracks to competing and highly-respected software developers. Can you tell us why the hackathon’s are so important to the broader effort? By bringing this group of talented individuals together and providing access to UMG’s catalog, never-before-seen original content and archival assets, office hours with Capitol artists, mentorship from veteran industry leaders and UMG’s technology partners, Capitol Music Group hopes to take steps toward making the relationship between music and tech more mutually beneficial. Mentors and judges included Don Was (Blue Note/Capitol), Dion “No I.D.” Wilson (ARTium/Capitol), Rishi Patel (Plus 8 Equity), Tuhin Roy (UMG), Lilly Kam (i.am+), Christine Cao (Paradigm Talent Agency) and Gerome Vanherf (LeanSquare). And of course, we’re grateful for the support of our team of technology partners including Cloudinary, Consensys, 7digital, TiVo, Microsoft, Gener8tor, and LeanSquare. The opportunity to take a building that has as much history as the Capitol Tower and expand its mission by providing a hub for creators and technologists to co-habit in one ecosystem is incredibly exciting. During the June 2-3 Hackathon, it was a special moment seeing some of our artists work directly with software developers to brainstorm new ideas for fan engagement tools and other music-related products and services. The prospect of forging a stronger relationship between music and technology is a responsibility that we take to heart, and it is our hope that Capitol360 can help bring new ideas that come out of the legendary Capitol Tower to life. We’re just getting started.